In a turbulent week weather wise, I managed to get out and shoot some springtime images in almost perfect conditions, only a few hours before storm Isobel battered the South of England into submission. 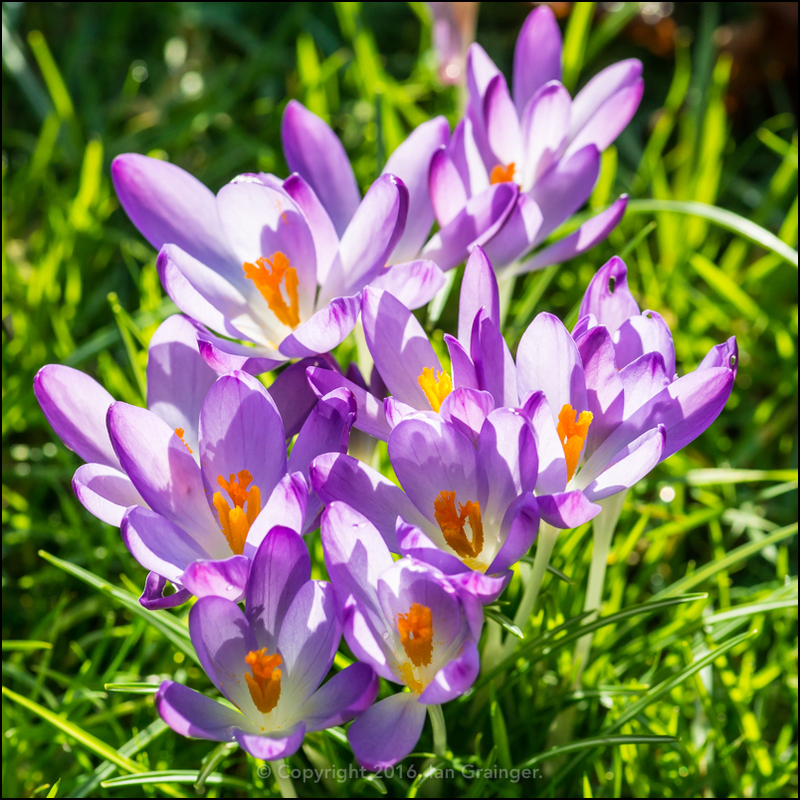 For the first time this year the crocuses were putting on a lovely display as the sunshine encouraged them to open up their petals, and welcome the warm morning rays. 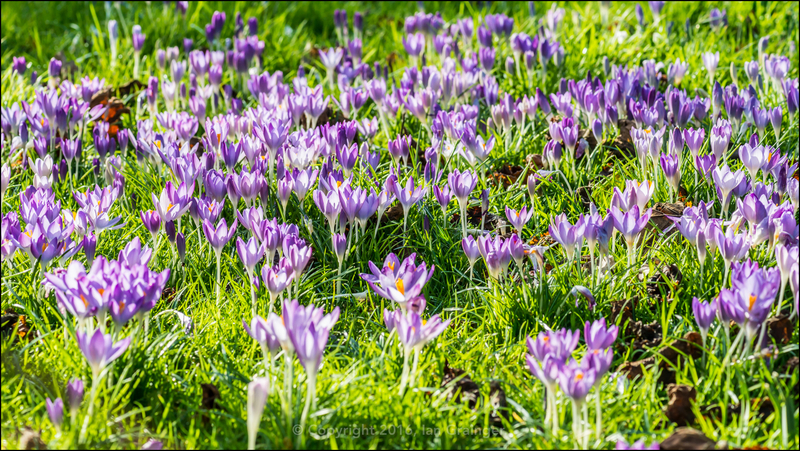 Small groups of crocuses huddled together, all reaching skywards, competing with each other to collect the most light. 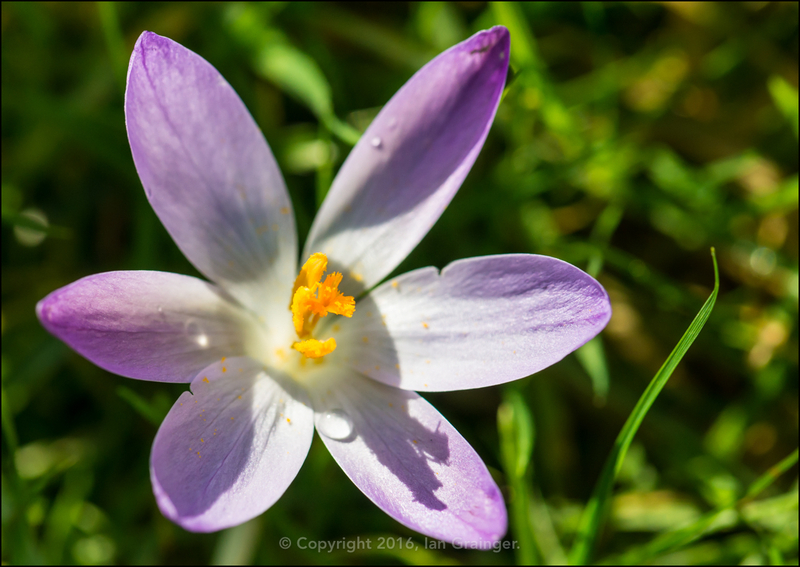 It was really impressive seeing so many of the little blooms taking over the lawn, turning it from green to purple. Turning my attention from the ground to the sky, and, for a while, we had uninterrupted blue for as far as the eye could see. 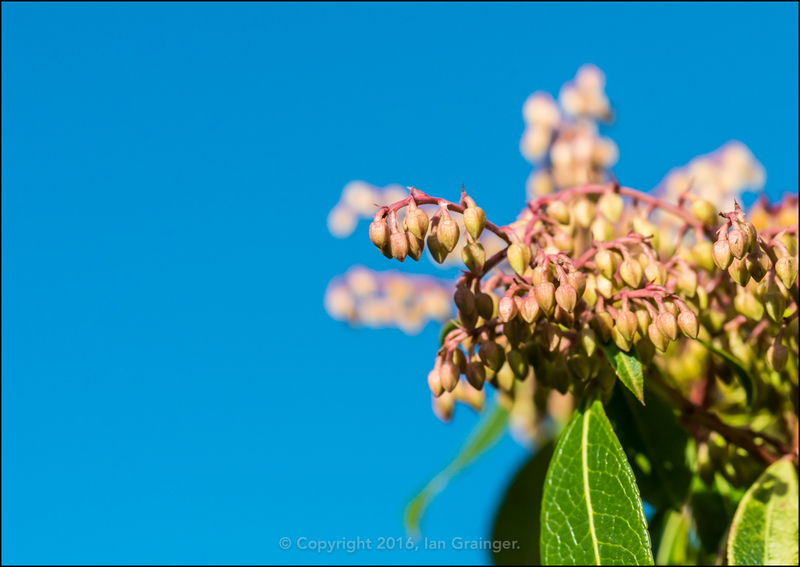 It made the perfect backdrop for these Forest Flame bush (Pieris) flower buds. The pleasant weather had also encouraged wildlife to make an appearance. 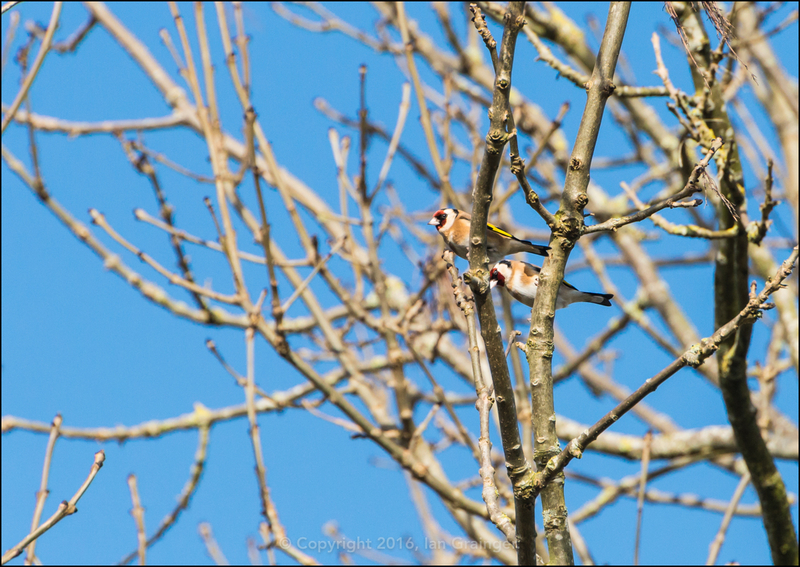 These Goldfinch (Carduelis carduelis) were full of the joys of spring, following each other from tree to tree. 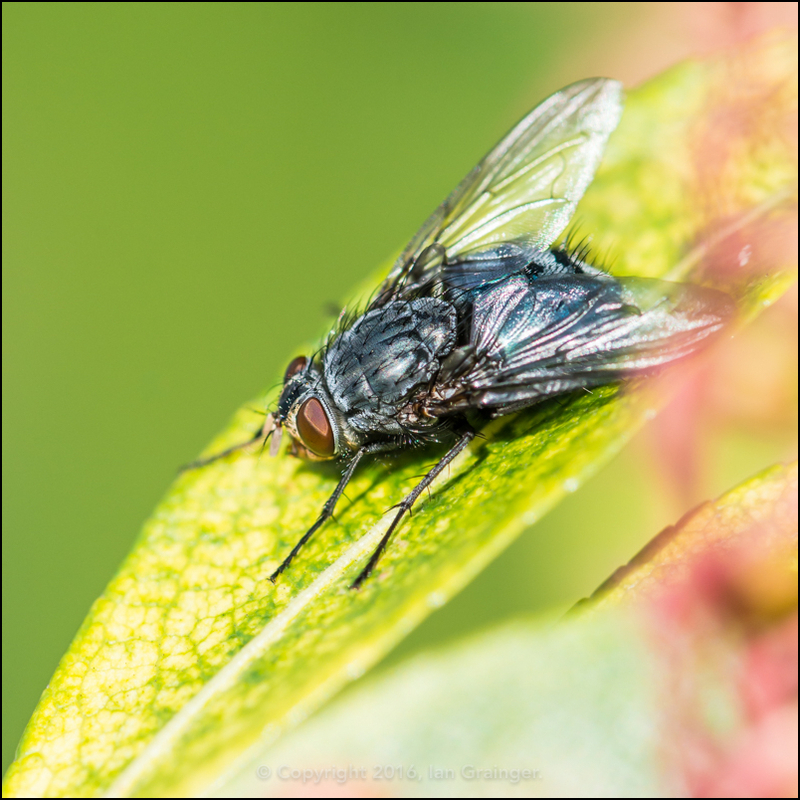 There were even some insects brave enough to put in an appearance, with this fly being one of many warming itself on a sun-drenched leaf. Obviously, with the Camellia bush still in full flower, it would be remiss of me not to include an image with an early visitor. 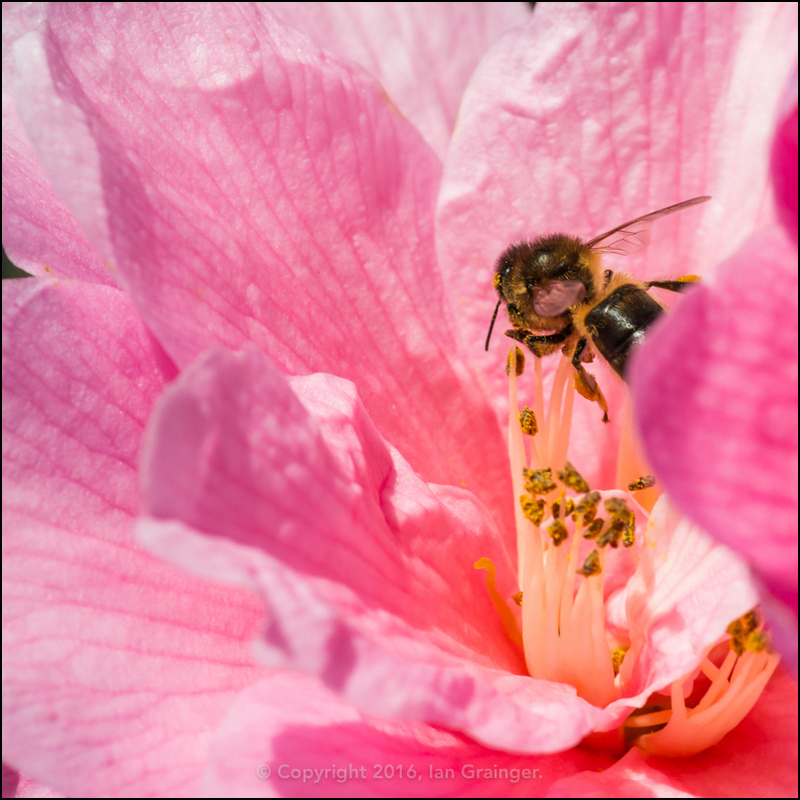 Another insect, this time a bee braving the conditions to stock up on some pollen.